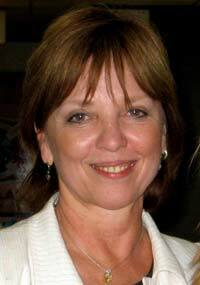 Nora Roberts was born on October 10, 1950, in Silver Spring, Maryland. She has four older brothers and attended Catholic school throughout her childhood until she was able to attend Montgomery Blair High School. While attending this school, she met Ronald Aufdem-Brink, who she married after graduating in 1969. Although her parents did not approve, Nora and her new husband relocated to Keedysville, Maryland. Ronald worked in his family’s business while Nora stayed home with her two sons. Nora met her second husband, Bruce Wilder, when she needed someone to build bookshelves in her home and do other carpentry work. They got married in 1985 and soon after, he opened bookstore in Boonsboro, Maryland. From here the couple purchased the Boone Hotel and reopened it as the Inn BoonsBoro in 2009. During Nora’s first marriage, she got stuck at home with her kids when a blizzard hit. This is the time when she started to write and study the writing process, as she could not leave the house and only had chocolate to eat. She really enjoyed this process, which resulted in her creating six manuscripts. Her passion for writing pushed her to send these manuscripts into the publishing company Harlequin, but they were rejected each time. In 1980, Nora’s career path changed, as Silhouette books, a new publishing company, found one of her manuscripts that she sent to Harlequin. The first book they published was Irish Thoroughbred, which was followed by 23 other books. Her first bestseller was Playing the Odds, which was included in the MacGregor family series. After she finished these books, she started writing for Bantam in 1987. Roberts then moved to Putnam five years later, which resulted in her continuing to write bestselling novels that made her one of the most famous authors of her time. Most of her novels were classic contemporary romance, but she really wanted to write differently. After speaking with her agent, she was able to write romantic suspense novels, but they had to be released under a new name. She soon released several books under J.D. Robb, which came from the names of her kids and her last name. Nora has written well over 100 novels throughout her career and many of them have been on bestselling lists. In fact, after 1999, all of her books reached bestselling lists, which is something that many other authors covet. More than 400 million of her books have been published and they have been translated to many other languages. Several of Roberts’ novels have been created into television movies, too. Angels Fall and Blue Smoke are two of the most popular movies that were picked up by Lifetime Television. Nora continues to write books today and her most recent novel, Dark Witch, is set to release on October 29, 2013. She has a huge following of fans that only continues to grow as she continues to release more books. There are also many other movies that are set to be made based on her various romance novels.